Lackland AFB is located on the Southwest side of San Antonio near many local attractions. 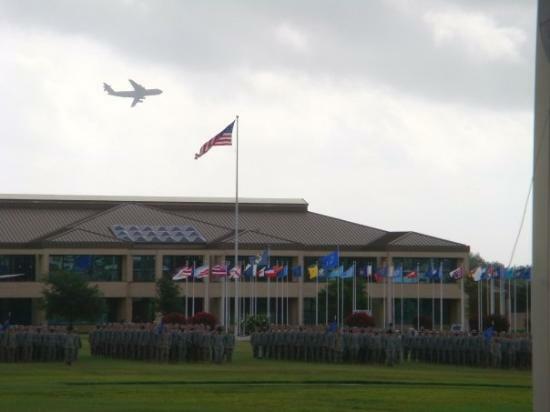 The base hosts 7,000 personnel who work in support of the Joint Base San Antonio project which combines Randolph AFB, Lackland AFB, and Ft Sam Houston. Lackland has long been known as the “Gateway to the Air Force” since all enlisted members attend basic military training on the base. Due to heavy traffic on Loop 410 and Loop 1604 most commuters stay west of I-10 and north of highway 90 in order to live within 25 minutes drive to the base. Public transportation is accessible, but most military members drive their own cars due to the size of the base and the efficiency of the San Antonio public transit system. Common neighborhoods for those working at Lackland are Leon Valley, the Villages of Westcreek, Helotes, and Rainbow Hills. Most of these neighborhoods are served by San Antonio’s largest school district, Northside ISD, though a few may fall under the auspices of Southwest ISD or Medina Valley ISD. Lackland is located within minutes of several popular San Antonio attractions such as SeaWorld San Antonio, and Six Flag Over Texas. Both SeaWorld and Six Flags provide discounts to military members and their families during the year. This area of San Antonio provides quick access to several shopping areas such as Rivercenter Mall, Ingram Park Mall, and South Park Mall. It’s a short drive to downtown and San Antonio’s famous River Walk, which can’t be beat when it’s time to find a nice restaurant with authentic cuisine.